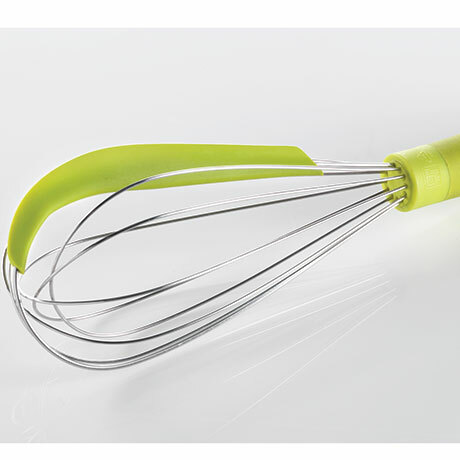 Cleverly designed whisk that also has a silicone edge that acts as a spatula to help clean every bit out of the bowl. Just whisk, then scrape! 11.8" x 2.5" x 3.1".